Gesture pose, 2017, Mint Museum Uptown, Charlotte. 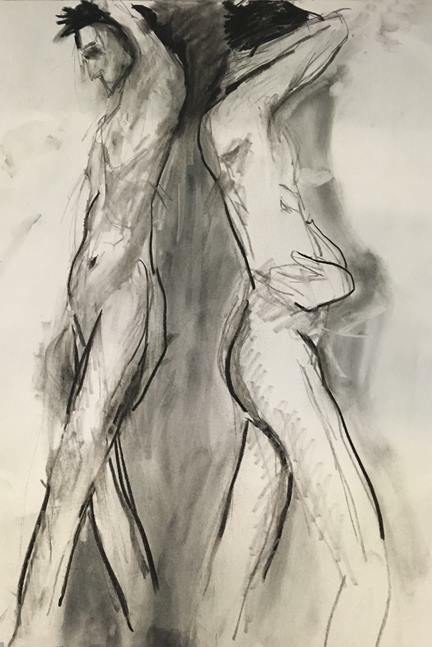 Keith’s gestures and poses are reflective of his own life experiences, both past and present. He believes that all of us try to portray ourselves in a way that “we believe” is most appealing to others, but he knows that regardless, others usually see us as who we “really are”. Keith sees that magnified in himself when he steps onto the platform for other artists to interpret. He realizes it even more seeing their works of art. For information about reserving a space in an open or closed drawing group where Keith will be modeling, please use the contact form on this website. You can follow Keith in social media too!